One of the world's leading semiconductor manufacturers, Qualcomm, has aired out fairly serious accusations towards Apple. The first trillion dollars company has stolen some of chip manufacturer's secrets, Qualcomm says. Qualcomm took it to the courts and is trying to prove that Apple, a chip designer themselves, helped Intel, a major competitor to Qualcomm, with their modems with code acquired from Qualcomm. Obviously sharing details such as this is against the software licensing agreement between Qualcomm and Apple, Qualcomm claims. 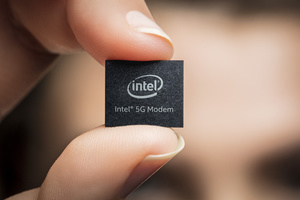 Previously Apple has used both Qualcomm's and Intel's modems in their iPhones, lately preferring the former, but this year all three new phones from Cupertino has Intel's modem chips in them. Apple's side of this debacle is that they've been trying to get rid of Qualcomm's modems exactly because of unfair licensing practices. Qualcomm's contention is that Apple should pay a percentage share of the end product to them, instead of what Apple thinks, and perhaps the most others think, is fair, which is obviously the price of the product they bought. While Qualcomm claims that Apple has constantly been sharing confidential information with Intel for them to catch up to Qualcomm, there is no concrete examples shown, at least to the public of yet. Whether the manufacturer known for its Snapdragon chips is trying to pressure Apple into choosing their modems or just to get last payout from Apple's deep pockets, it's unclear. Both seem unlikely to a layman, however.